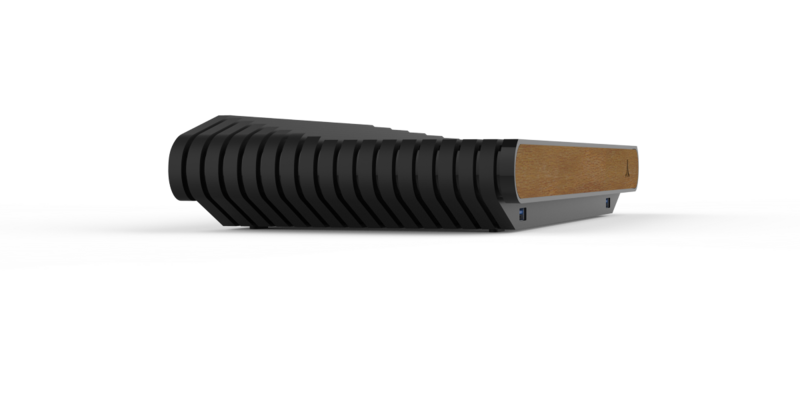 A comprehensive overview of the updated industrial design architecture. One of the best-received aspects of the Atari VCS is probably its amazing retro-futurist design, inspired by the original Atari 2600 Video Computer System. 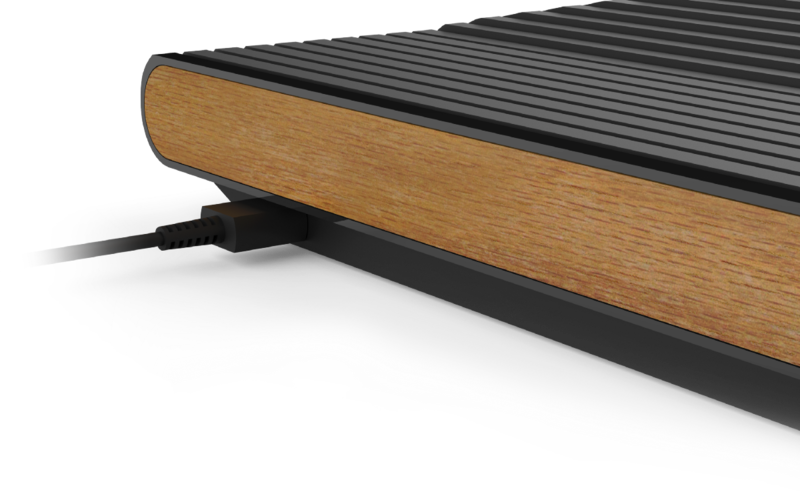 Now that we have finalized our upgrade to the new AMD Ryzen chipset, the Atari VCS team is excited to unveil a number of other changes and improvements. 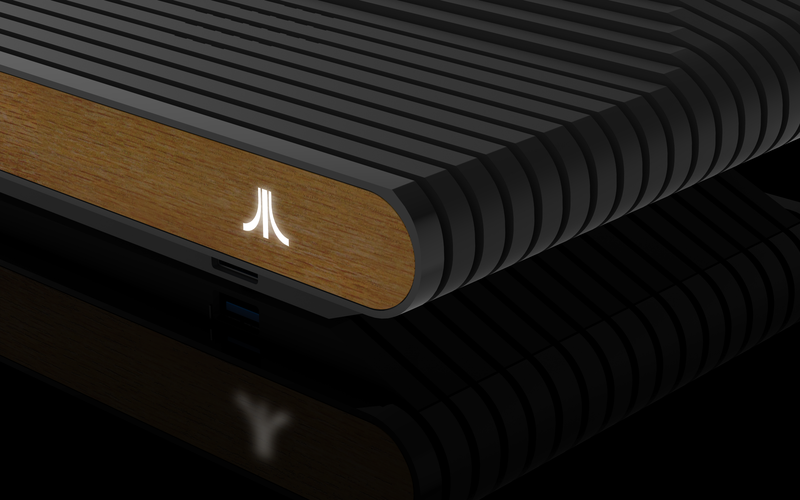 As every backer knows, Atari proudly trumpeted not just a new iconic design, but also a unique layered construction technique for the VCS housing in our Indiegogo launch video. This design approach was taken through a rigorous engineering analysis and fabrication process for much of 2018. During this time, the team was forced to balance the original design intent against a number of practical considerations and steadily a new path forward emerged. The design engineering team elected to pivot away from the original and very-unique ribbed-sandwich construction for the Atari VCS system box while still maintaining the applauded original design. 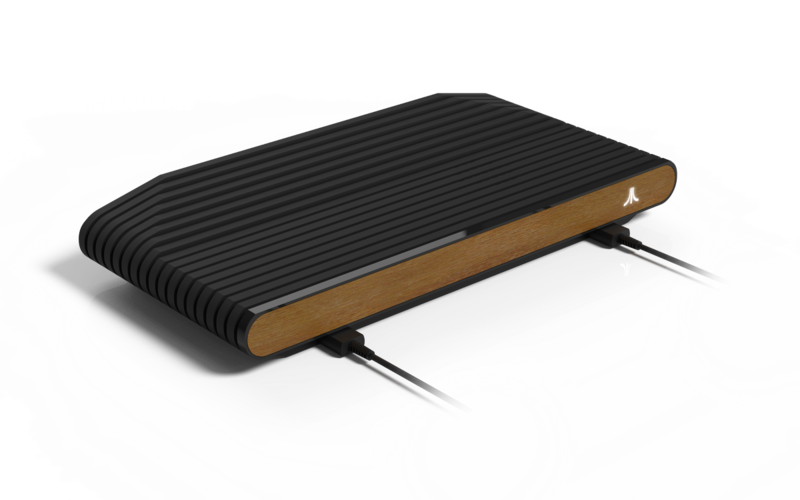 These new assembly plans will bring the Atari VCS hardware to life later this year, preserving the original design intent while streamlining the manufacturing process and assembly time. Meet the production-ready Atari VCS Collectors Edition and Onyx! These renders are stand-ins for the newest Atari VCS pre-production units that the engineering team will be receiving shortly. We will share plenty of photos of the actual units as soon as we have them in the lab. In the meantime, eagle-eyed fans should immediately notice several subtle differences from the original Atari VCS design that’s been shared previously. What you can’t tell from these renders is that the construction has been completely overhauled, and that unit dimensions have changed slightly through the engineering process. Visually speaking, the most notable aspect of the updated design is a revised silhouette that now elevates the VCS main body to create more of a “floating effect,” while also delivering some other very important improvements. 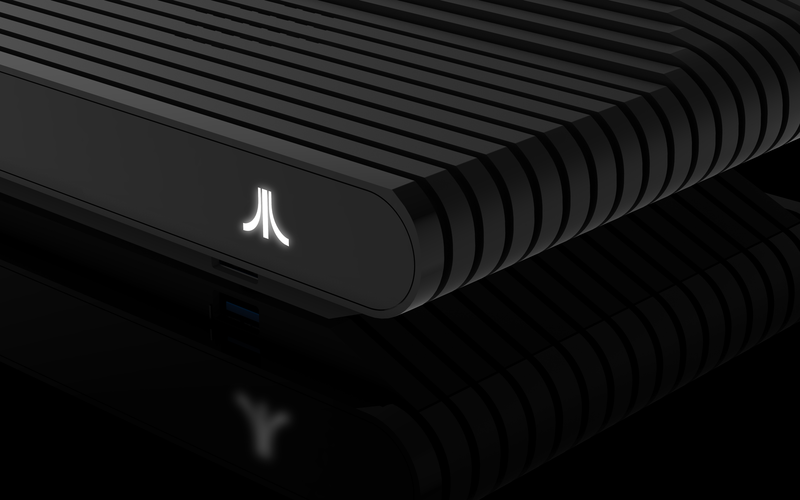 First and foremost, by adding a small riser under the body, we think the VCS now visually-references the classic Atari 2600 design even more than before. The unit laying so flat on its body continuously came up in discussions amongst VCS team members and others. The team ultimately determined that the VCS should “float” above the base surface, just like the original Atari 2600. Doing so also opened up some other great opportunities. 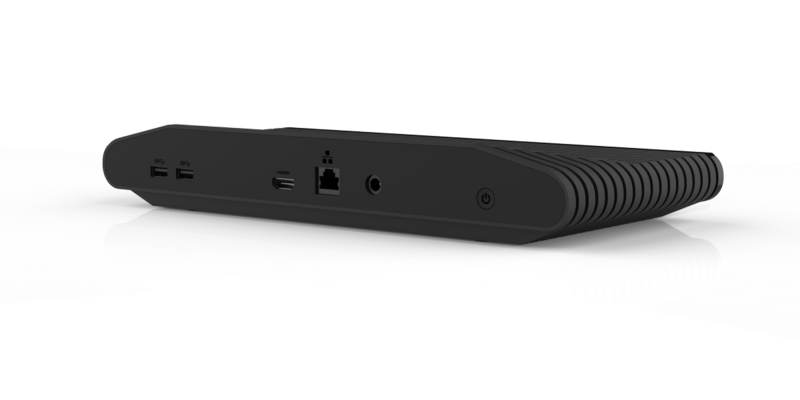 The new “floating” body concept easily-enabled the moving of two of the four USB 3.0 ports to the front of the VCS, allowing us to address some important user-experience considerations. Despite all the connections on the back of the 2600, there was no way that we wanted to make people plug every USB device into the rear of the VCS. With this reconfiguration, users can easily connect a USB thumb drive or input devices, like controllers, mice and keyboards to the front of the VCS instead of using the rear connectors. With two convenient USB 3.0 accessory ports on the front, the two back ports remain free for external hard drives and other less frequently accessed hookups. The rearranging of the USB 3.0 ports made another thing very apparent: The SD card port was redundant. Standard USB A storage devices are ubiquitous, and the decision to exclude the SD card port is in alignment with most modern consoles, which have 3 or 4 USB ports and should be sufficient for everyone’s storage needs. Until now, all renders and pre-production models of the Atari VCS Onyx Edition have shown the “Fuji” logo illuminated in red, and others showed the front panel lit with four small horizontal LEDs. The aesthetic looked cool and was very well-received, but as the user experience team continued to work through the communication tasks that the console and its LEDs needed to accomplish, it became apparent that a consistent approach was necessary across all VCS models to implement clear messaging that avoids any confusion in the system-to-user communications and alerts. The original motivation for the red Fuji logo on VCS Onyx was simply cosmetic. Now, all Atari logos across all Atari VCS models will be illuminated in white light. This also extends to the Atari logos on our new joysticks and controllers (much more coming on those devices in a future update) so that everything is consistent across all VCS hardware and accessories. 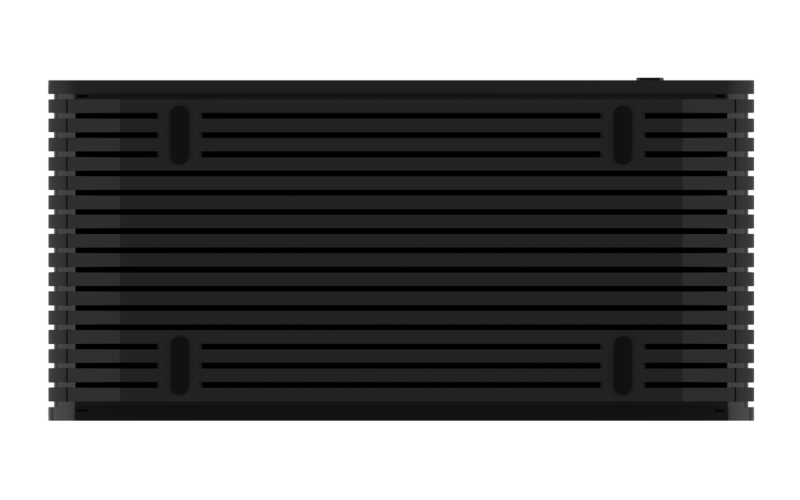 The white Fuji indicator light will be used for a number of core Atari VCS communication messages about power, accessory pairing, internet connectivity, etc., which will be delivered via different patterns of blinking, pulsing and flashing, similar to the behaviors of other modern consoles. In addition, the UX team decided that rather than asking people to look at the box frequently to see what four lights on the front might be doing, it will be more effective to combine the Fuji indicator light with a series of on-screen indicators that communicate accessory connections, player count, battery life and other messages. Not only is this new configuration more practical and informative, it leaves the front panel sleek and clean. As noted above, the original design intent and conceptual approach was to build each finished Atari VCS box using a series of at least 16 layers. The layered “fins” represent a bold and distinctive design decision, but presented with some notable engineering challenges. Our design and engineering team engaged in extensive discussion and collaboration with the manufacturing team at the factory early in the process. However, as the team moved forward with finalizing the mechanical architecture tasks toward a finished design, the original construction method was becoming less and less practical. There were a number of specific factors that led to the decision, but suffice it to say, building the VCS in a more streamlined way is resulting in a stronger, more cost effective product that maintains the original ID while delivering several additional benefits. 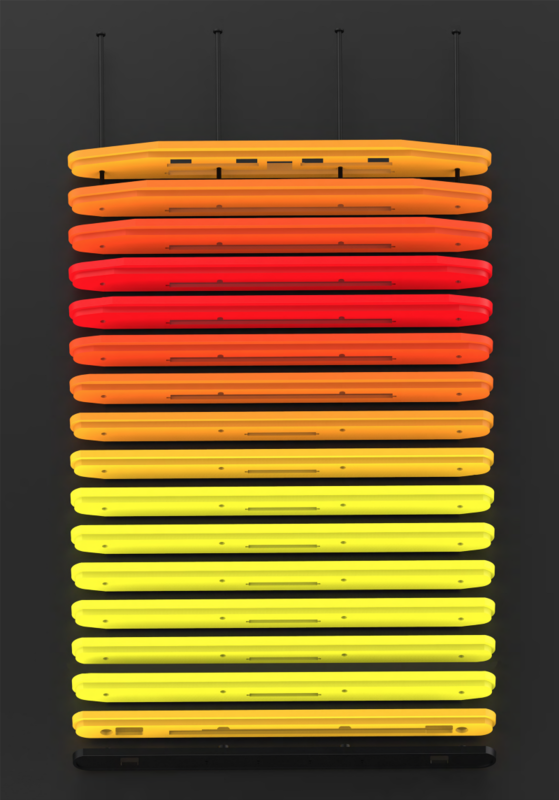 The original VCS concept from 2017 consisted of 16 individual layers, plus front and rear housings. That assortment of 18 parts included seven common rings, nine unique mid-enclosure ring parts, and the front and rear fascia parts. This meant there would have to be at least 10+ unique tools to mold the parts, plus a lot more raw material (i.e. black plastic waste) needed to fill all those molds. In addition, and as stated above, assembly line time and build complexity was going to be high. It quickly became clear that we needed to rethink things and improve the mechanical design without any negative impacts to the aesthetics of the VCS. 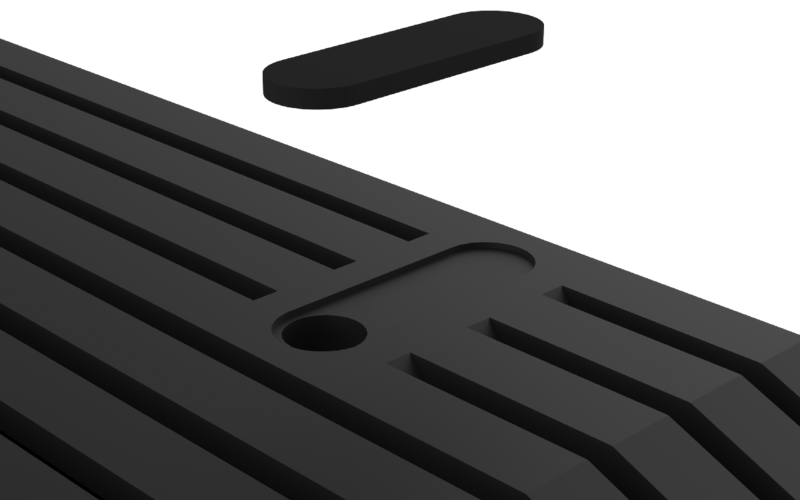 The newly-updated 2019 Atari VCS construction method retains every cool curve and rib of our original design, but simplifies the case components to four primary pieces: a top housing, a bottom housing, and front & back panels. This construction is stronger, uses far less material which reduces plastic waste, and has shorter and more-precise assembly times. Plus, it gains the additional benefit of more volume inside the actual “box” for components and thermal management. The updated construction retains the wood fascia insert for the Collector’s Edition and gloss black insert for the Onyx model. Most importantly, tooling and materials expenses for the updated construction will be less than the original approach, and assembly time gains and product yield improvements will be even greater than that. We hope you have enjoyed this hardware design update. Now that many critical decisions have been finalized, you can look forward to more detailed production specification updates like this one. Future updates will go inside the box to look at the internals and thermal management, discuss all the great improvements and final features of the Classic Joystick and Modern Controller, game and media content partnerships, user interface, developer tools, distribution plans, and other details. We can’t wait to share more!